Below you will find Top CBSE Schools in Kota 2019, List of Best CBSE Board Schools in Kota. Sir Padampat Singhania School (SPSS), Kota is a co-ed school affiliated with the Central Board of Secondary Education (CBSE), New Delhi. 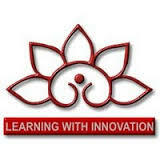 Established in the year 1994, Kendriya Vidyalaya No. Promoted in the year 1985, DAV Public School, Kota is an English medium co-ed school and affiliated with the Central Board of Secondary Education (CBSE). Chambal Fertilizer DAV Public School, Rajasthan was promoted in the year 1994 and run by D.
Manglam DAV Public School, Morak is managed by DAV College Managing Committee, New Delhi. 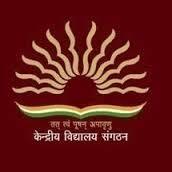 DPS Kota was promoted by Delhi Public School Society. Address : Prem Nagar, Kota Industrial Area, Kota, Rajasthan. 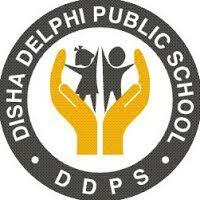 Disha Delphi Public School prepares the students to understand, contribute to, and succeed in a rapidly changing society, and thus make the world a better and a more progressive place. Decent School, managed by Decent School Shiksha Samiti is a reputed school of Kota. Established in the year 1989, Children Senior Secondary School is co-ed English medium day school. Central Academy Senior Secondary School is committed to providing a healthy and congenial atmosphere in the school. Promoted in the year 2002, Global Public School, Kota is run by leading educational group Career Point, with an objective to provide World Class Education to the students of Kota. BPS is one of the most prestigious school in the city that aims to engrain in each student confidence, values, critical thinking skills and develop them into adaptable and integrated nationals. 1994 Founded in the year 1994, Bakshi's Springdales Secondary School is an English medium co-ed day school. Atomic Energy Central School No 3 is run under the auspices of Atomic Energy Education Society (AEES).